Ever since I was a little girl I’ve always wanted to explore the ancient temples and pyramids of Egypt. 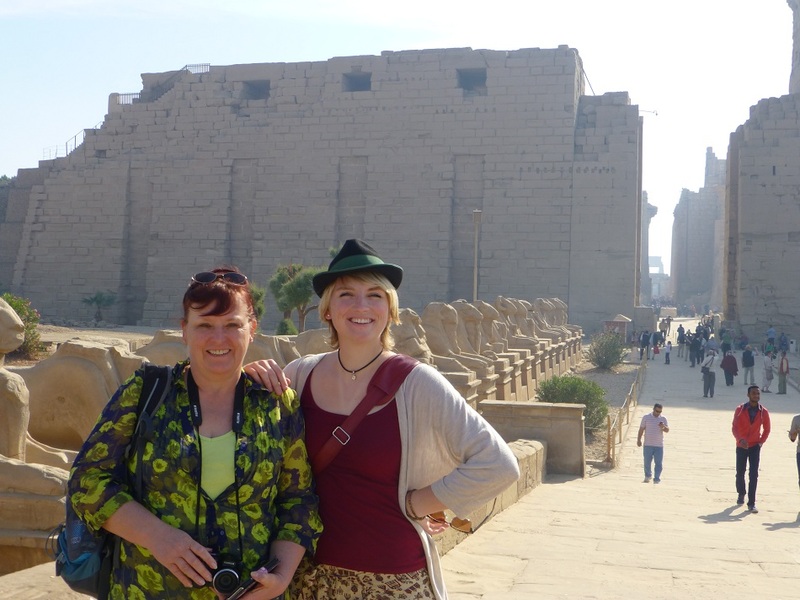 My first visit to Egypt a couple of years ago wasn’t so much fun as I got fever and had a throat infection so bad that I couldn’t do much at all. This time was different! My dear friend Gabi asked me to join her on a short trip to Soma Bay near Hurghada in Egypt. How exciting! Two travel bloggers going on vacation together and having a lot of fun! 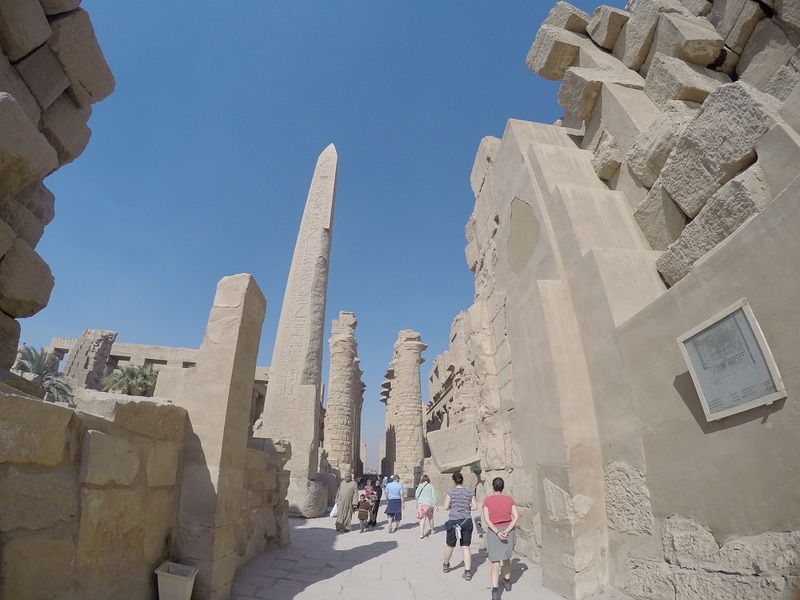 We spent two amazing days diving the Red Sea and then we decided to visit the ancient temple of Luxor for a day. 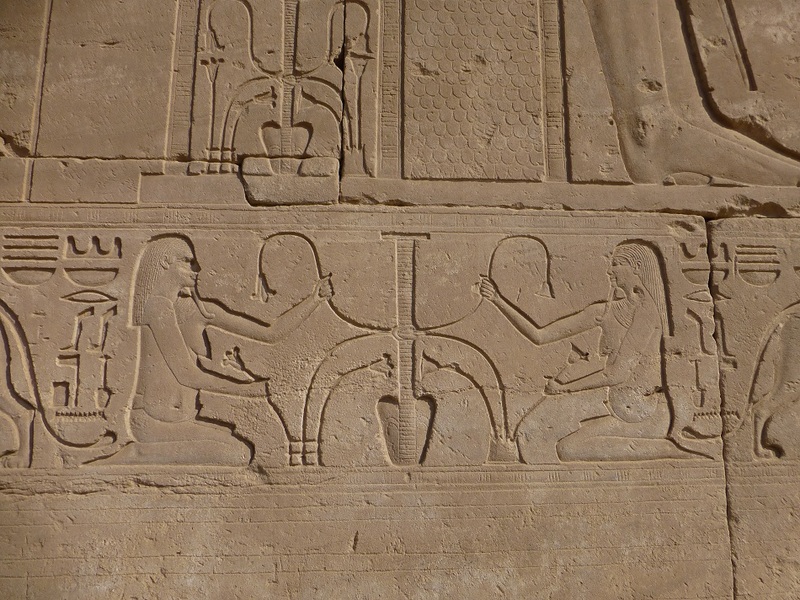 The construction for the temple started back in the 12th dynasty by Pharaoh Thutmosis III. 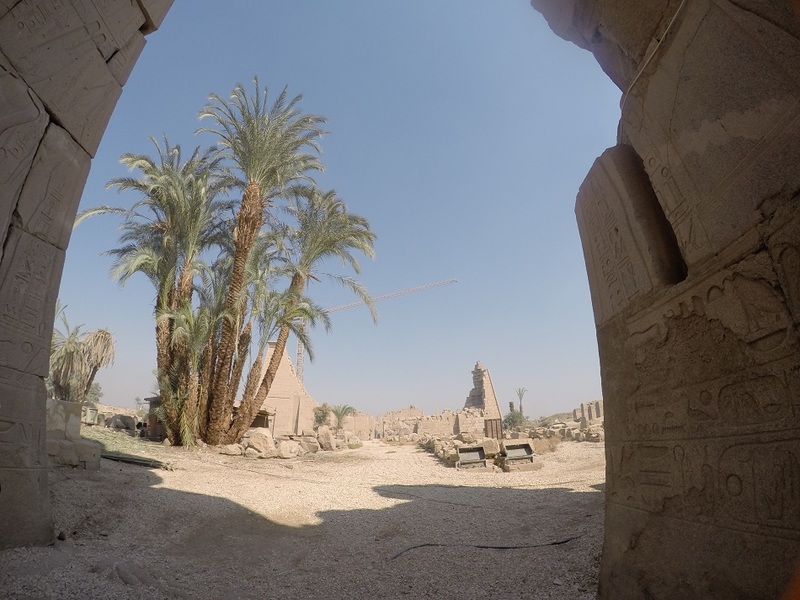 The city of Luxor was the ancient capital of Egypt and that’s the reason for much of its glory in the past days, back then still known as Thebes. Not so much now. To be brutally honest I expected more. So much more than the stones we encountered there. In my mind I had this picture of a reconstructed temple that is enormous in size, diversity and well everything. Unfortunately only a small part of the temple was reconstructed and is open for tourists. No need for much time here as you can visit everything in about 45 minutes and then be out again to see the next attractions in the area. The statues and hieroglyphs are pretty neat, but I wouldn’t think that they are still 100% original. Still very nice to see and explore. Did I tell you that I hate masses? And mass tourism certainly is part of that category. We arrived a little earlier than most tourist busses, but many other tourists started arriving soon after. Buses full of Asians, Europeans, Americans, … from all over the world. And that only in February – I don’t even want to think what this site looks like in the summer when it’s high season. I have to admit that it was mostly for the masses of people that ruined the visit for me. People, people, more people and little to see and again even more people. 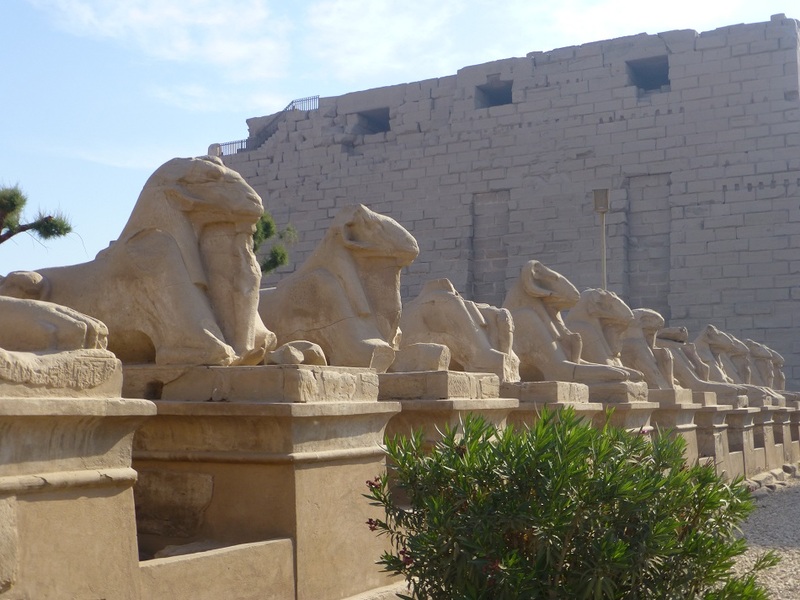 Thinking about it now – of course everyone that comes to Egypt wants to see some of the temples of ancient Egypt and get a sense of what it was like back in the days, it was too much for me and I will skip those ruins on my next visit. 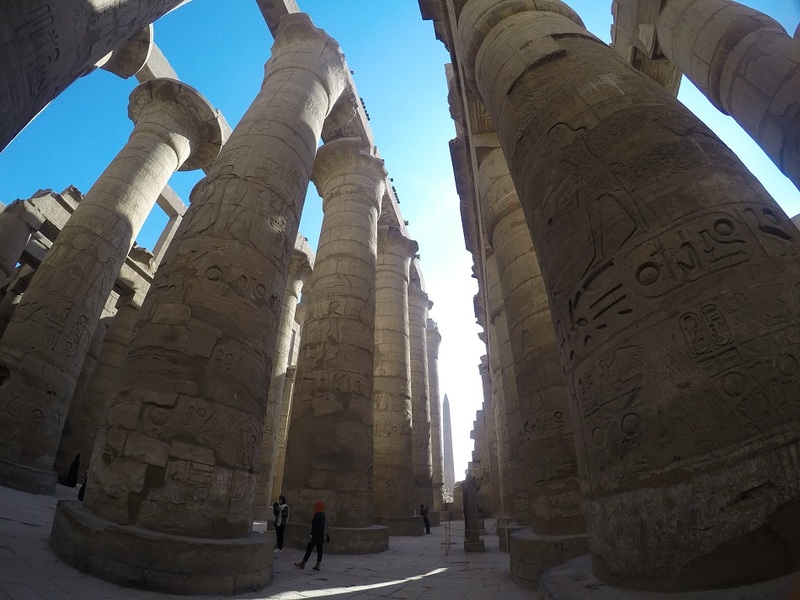 For me it was a “Mhh yeah, I went there and saw the temple of Luxor, let’s check that off the list”. 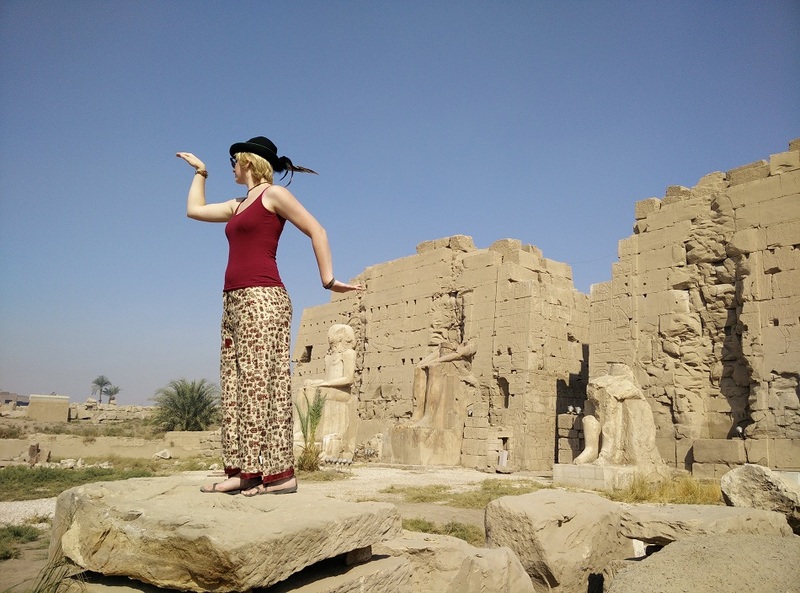 Dear Luxor, you won’t see me again! We stayed in Soma Bay which is located south of Hurghada by the Red Sea. We decided to do a day trip with a travel agency as neither of us wanted to drive that far nor really knew how to get there. It was a good decision to do so, because there is lots of police on each cities entrance and exit and they’ll check everything. We got told that you need a permission to go from Soma Bay to Luxor on some roads. That permission is obtained a few days before by the tourist agencies and the police or military checks if you hold this permission or not. Most road signs are only in Arabic, both language and letters, which makes it really hard for non-arabic-speaker to distinguish even smaller words such as directions to get to the desired place. Another reason why not to get a rental car is the state of the – well let’s call them paths and not roads. Speed bumps, holes, crazy traffic, scooters, pedestrians, busses, cars, animals – everyone is on their way and they don’t care about any traffic rules at all. The distance too is a hazard as well. Plain driving took us more than 8 hours, I was glad we didn’t have to drive ourselves and were able to chill in the back of the little bus. Note: we got a little discount on the tour which was provided by Hurghada Reisen, nevertheless everything written here displays my very own opinion. 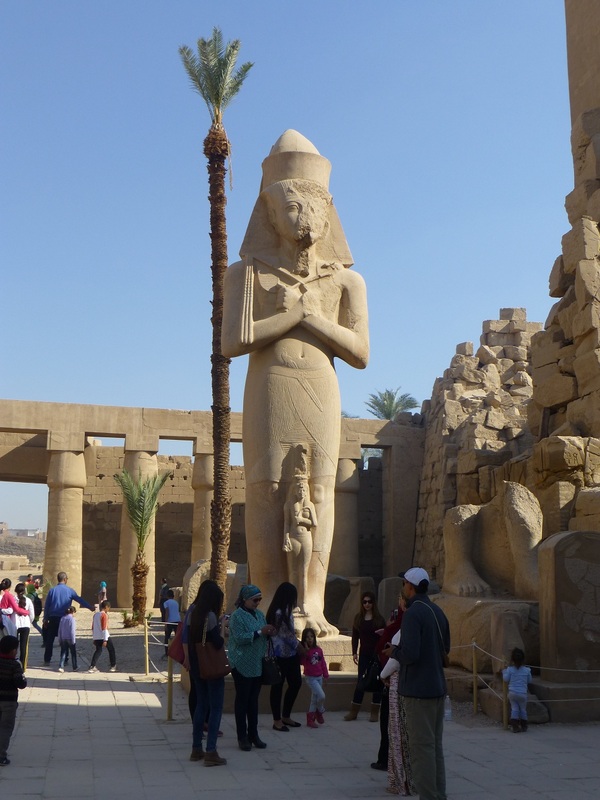 What a pity you visited Luxor via a day trip from the Red Sea coast. These trips are all about mass tourism. 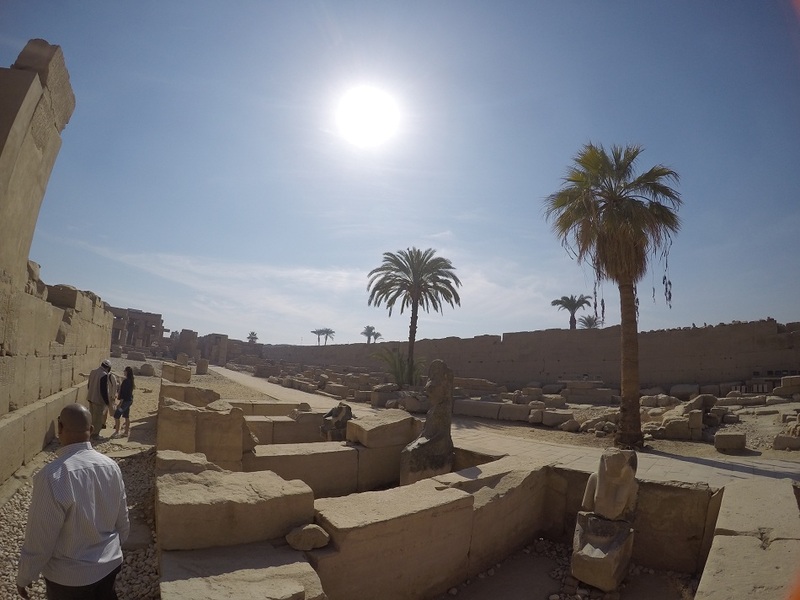 If you would have taken enough days and stayed in Luxor, you could have seen all beautiful things in and around Luxor, without a lot of other tourists. ‘The statues and hieroglyphs are pretty neat, but I wouldn’t bet anything that they are still 100% original ‘. Don’t let any Egyptologist read this ……….